Every child has the right to an education that will unlock their potential and give them their time to shine. But the poorest families in Ghana live on less than £1.50 a day, putting huge pressure on everyone to help make ends meet. "Sometime my teachers would sew dresses for us because my mother did not have the money." "We were trying our best." "We were trying our best." Jennifer was forced out of school by poverty. Jennifer began working in her local community doing menial jobs to support her family and her younger siblings. She had given up hope of a brighter future. None of the women in her family had an education and she imagined she would follow the same path. However, when Jennifer met Caroline her life took a turn. 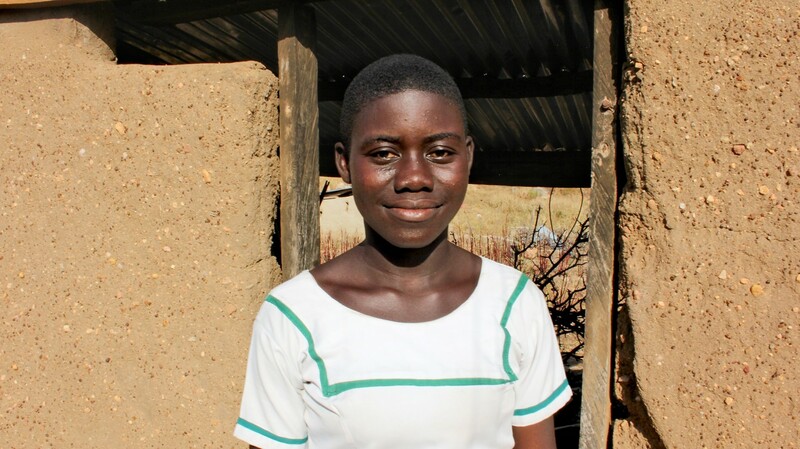 Caroline was a teenage girl just like her, but Caroline was part of an AfriKids’ Child Rights Club in her school. At the club she was taught about her rights, she gained confidence and learnt how to raise her voice against injustices. Caroline told Jennifer about the importance of education for girls like her. She encouraged Jennifer to think about her future, not just for herself but her family too, and she explained how education could benefit them all. Caroline also visited Jennifer’s family to help them understand the value of Jennifer’s schooling. She organised for them to visit her school to speak to her Child Rights Club leaders to see how they could support Jennifer to return. Club leaders help to identify children who are most in need of extra support for educational materials, so they can go to school. Jennifer’s meeting with Caroline at the borehole was the first step towards her believing in herself and her right to education. With help from the AfriKids Child Rights Club, Jennifer is back in school. Less than a year on from their first meeting, Jennifer and Caroline are now classmates. Jennifer is studying hard and is already top of her class! With the support of her friends at the club, Jennifer’s confidence continues to grow. She believes in her future. £20 is enough to support two children, like Jennifer and Caroline, to attend a Child Rights Club where they can learn about their rights through games and activities with friends. For a start she wants to become a lawyer! Jennifer is on a completely different path now, but every day poverty is pulling other children like her out of school and away from a secure future. AfriKids needs your support now to unlock the potential every child has and give them their time to shine.